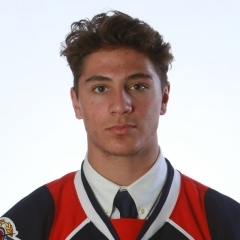 Daniel D’Amico scored the game winner as the Windsor Spitfires beat the Guelph Storm 2-1 in a shootout Saturday night at the WFCU Centre. Windsor is now in third place in the OHL West Division with 19 points. The first period ended in a scoreless tie. Each side had one power play opportunity with the Storm outshooting the Spits 9-7. Windsor broke the stalemate at 5:10 of the second period, with Chris Playfair’s fourth goal of the season. Guelph responded later in the frame when Isaac Ratcliffe beat Spitfires goalie Michael DiPietro. The third period was perfect, with no scoring or penalties, and the game was still deadlocked at one-all and forced into overtime. The first overtime period came and went with the Spitfires outshooting Guelph 4-3. The shootout went eight rounds before D’Amico put the winner in past Guelph netminder Anthony Popovich. DiPietro faced 32 shots in goal and missed only one. Popovich stopped all but one of the 29 shots he faced for the Storm. The Spitfires are back in action Sunday afternoon for a Remembrance Day game against the visiting Saginaw Spirit. Puck drop is at 4:05 p.m.